Use the settings like in the example above. Always use the Password generator to create a secure Password. SIP proxy server and SIP registrar server = IP address of the Gigaset T300/T500. Account module Name and Auth. ID = Telephone name in Gigaset T300/T500. Password = Password in Gigaset T300/T500. Here you can define which number is dialled when the key is pressed, in this example number: 206. Please check if the correct codecs are enabled. Without a Gigaset user account, the door intercom can be used to dial an internal number. Incoming and Outgoing external calls are not possible. Incoming calls to the door intercom are only possible when the door intercom is assigned to a user. This door intercom supports video, the config below is an example how to configure the T300/T500 that will show the door intercom video when receiving a call from the device. 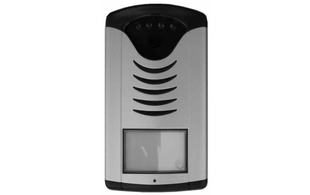 The T300/T500 will act as a Proxy for the DE700 and DE900 devices and will provide the Devices with the Video from the door intercom. No special programming in the DE700 and 900 Devices is needed. Door intercom video integration Gigaset DE700 and DE900. Just define the name of the device, the SIP number, DTMF door opener code, Camera URL (http://<IP address>/video.jpg) and Reload Rate. You can also use the web camera as screen-saver, under info service select the web camera you just added to the device.